"WR6_gUnUj-ztiW07KQcOCnTel9A"/> Notes From Atlanta: Fani-Kayode: Ministerial Rascality Taken Too Far! The following first appeared in my column in the weekly Trust newspaper, Abuja, on October 7, 2006. I apologize that I am not able to start my series on Islam in America this week as I promised. Many people wrote to ask that I write on this topic, and I thought the period of the Ramadan was a fitting time to start it. Alas, I am forced to change my topic this week by recent events in Nigeria. As newspaper commentators, we are prisoners of the vagaries of the events about which we comment. I read in our online newspapers a while back that Femi Fani-Kayode, Obasanjo’s culture and tourism minister, led a “rebellion” of some ministers to kick Vice President Atiku Abubakar out of the last Federal Executive Council meeting. According to the reports, Fani-Kayode demanded that the VP leave the Federal Executive Council meeting because, according to him, the VP lacked the moral, legal, and political basis to continue participating in the current government. The VP was said to have been “saved” from the intense fury and caustic barbs of Fani-Kayode by President Obasanjo's grudging intervention. This is just so incredible! I couldn’t help boiling with raw rage when I read the details of what happened. This, indeed, is not a happy time to be a Nigerian. A lowly, inconsequential minister stood up in the presence of the president to insult and embarrass the vice president and nothing happened to him? Our democracy has truly gone to the dogs! It’s sickening that our country has degenerated to such a stage that an ignorant, rascally, and harebrained twerp like Fani-Kayode can even be invested with a responsibility as serious as a ministerial position. But who is this Fani-Kayode that never ceases to outrage our sensibilities and assault the basic decencies of civilized society? Who is this man that has elevated vulgarity, coarseness, and infantilism to an art? Just who is this nonentity? Many newspaper accounts have hinted at his not-too-flattering mental history as the explanation for his permanent predilection for primitive crudeness. But that is not the issue here. Our worry, I think, should be why any responsible person (this takes for granted that our president is responsible) would impose on a flighty and obviously emotionally damaged stormy petrel like Fani-Kayode a task as grave as holding a public office. Can’t Obasanjo see that this man has diminished the worth of public office and has become an irredeemable embarrassment to Nigeria? For the avoidance of doubt, I am not a fan of Atiku. I don’t see him as any better than Obasanjo in terms of his philosophy of statecraft. He is, after all, an integral part of the unexampled venality that the incumbent presidency symbolizes. In all his disagreements with the president, Atiku is often quoted as saying that if elected president he would continue with Obasanjo’s “reform programme”—a thoroughly discredited program that is ruthlessly robbing Nigerians of their very humanity and deepening their misery in ways never thought possible before. I will never defend the person of such an accomplice in our collective ruin. I personally think that it would be a monumental tragedy for Nigeria to be burdened with an Atiku presidency. It would be akin to giving Obasanjo a third term—or worse. That said, recent facts from here confirm that Atiku is merely being witch-hunted for whatever personal grudges Obasanjo may have against him. It is now at least clear that Obasanjo and the EFCC lied, as is now their wont, when they said that their investigation of Atiku was instigated by a request from the U. S. government. I watched the Congressional hearing on the investigation of William Jefferson, a U.S. House of Representatives member that represents a part of Louisiana very close to where I used to reside until recently. U. S. Assistant Secretary of State for Africa, Dr. Jendayi Frazer, during the hearing, described the probe of Atiku as "the handiwork of politicians who try to smear the reputation of opponents." "The request by the U. S. was for Nigeria to help furnish information on an American Congressman, William Jefferson, who is being investigated for alleged corrupt practices, and not a case against the Vice President of Nigeria," she said. But Akin Osuntokun, another irresponsible and rascally upstart who owes his position to the fact of his being the son of a member of one of Nigeria’s hegemonic blocs, issued a puerile, dull-witted, and barely literate response to Dr. Frazer, accusing her of interfering with Nigeria's internal affairs, and of denigrating and disrespecting "the leadership of Nigeria." These are the same people who said their probe of the VP was the consequence of the request by the American government. So, if the American government requests that the second most important person in our country be probed (even though this has turned out to be false), it does not represent an act of meddling in our internal affairs or of disrespecting our leadership. It only becomes so if the facts change. How more childish and illogical can a defense get? Anyway, Obasanjo seems to have an uncanny knack for assembling the most perfidious gaggle of mentally subnormal people around him. The depth of the rot of the Nigerian presidency is truly staggering. The stench that emanates from it is so malodorous it can deaden your nasal sensibilities to a state of virtual paralysis. It has been denuded of the last vestige of honor. It is now an asylum for moral cripples, treacherous thugs, degenerate fools, flyblown sycophants, and nitwits of different shades. The rise of Fani-Kayode— and others like him— in the current government is eloquent testament to this. Never in the history of our country has a vulgar, noisy, bigoted, foul-mouthed, infantile, and witless twit like Fani-Kayode been made to violate our collective sensibilities with such coarseness, such unmitigated vileness, such invidious impunity. Never! He rose to notoriety precisely because he was the ill-famed attack dog of a barefaced and self-righteous hypocrite who calls himself our president. For his unprecedented display of ill breeding and rudeness to our elders who had the good sense to call the president’s attention to the perdition he is pigheadedly leading us to, Obasanjo compensated him with a ministerial position. But what statement is Obasanjo making by appointing a disreputably boorish philistine like Fani-Kayode as a culture minister? Of all the ministries in the country, why did he choose the culture ministry? In other words, what logic can justify the decision to appoint a wolf to keep guard over sheep? Well, go figure. Of course, it didn’t take long before the man showed his colors. A wolf can only hide for so long among sheep. On two (or is it three) occasions, he evaded— in fact, violently resisted—mandatory airport screening and caused needless scenes. He felt too important to submit himself to civilized conduct. In saner countries, such a shameful behavior would have forced any minister to resign. But what do you expect from a Femi Fani-Kayode? That is what you get when you undeservedly elevate a backward and thoroughly benighted nonentity to a position that is light-years bigger than his wildest dreams could have ordinarily led him to expect. This man’s only claim to anything at all, just like Akin Osuntokun, is that his dad was an ex-somebody. He is a mere beneficiary of Obasanjo’s brazen agenda to ensure the intergenerational perpetuation of certain hegemonic blocs in the country. Many of the children and grandchildren of major political players in the country from the past to the present (across regional and religious divides) are employed as Obasanjo’s redundant special advisers or assistants. Were it not for this hegemonic agenda, this vile and contemptible vermin that is ordinarily not even able to minister to himself, much less be the chief executive of a whole ministry, would not be a minister in any sane country. 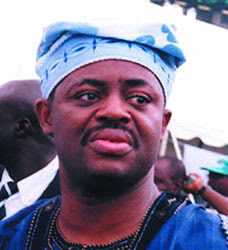 My repulsion against Fani-Kayode is not simply born out of newspaper reports of his nauseating theatrics as Obasanjo’s special assistant on public affairs (a position another unprincipled and brainless mercenary thug has inherited); it is informed by my first-hand knowledge of this guy who I think eminently qualifies to be given the title of MON—Most Obnoxious Nigerian. When I worked briefly at the State House Office of Public Communications, which Dr. Stanley Macebuh headed, I had occasions to meet him. It is these encounters that provide the raw material for the character sketch I wish to draw of him. This man neither has integrity nor evinces any intelligence when you meet him outside the mediation of the mass media. He is drab, vain, sycophantic, overzealous, scatterbrained, and megalomaniac. And if you are looking for the very personification of ethnic and religious bigotry, don’t go past this character. His intolerance for people that his warped and barren mind conceives of as belonging to the “Other” is revolting. He is, in short, a detestable personality, an excellent specimen of what a patriotic Nigerian should NOT be! But he has been lucky. Newspapers report his every inane utterance and, in time, unwittingly constructed a façade of seriousness around him. 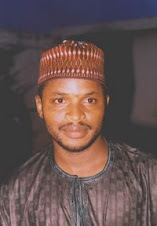 In fact, when the Atiku campaign group was welcoming Uba Sani as his successor, they said Sani was filling the “big shoes” left by Fani-Kayode. I was disgusted. Big shoes? “Filthy shoes” looks more like it! But these are the kinds of people Obasanjo likes to draw close to himself: people who have low self-esteem, people who have huge moral deficits, people who are daft, who are filthy, and who perpetually grovel before him in vacuous awe. Examine most of the people who are close to the president and you will discover that they fit this description. However, when Fani-Kayode was a special assistant (a mere job for the boys), it was easy to tolerate his thuggery and rascality. Now that he is, for God’s sake, a minister— however undeservedly—is it too much to expect him to refrain from, or at least moderate, the reckless and irresponsible juvenile bravado for which he has become notorious?